Today is the publication date of Michael Connelly’s new novel The Reversal, which we of course devoured the minute we got our hands on it. 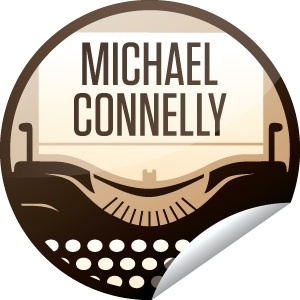 Michael Connelly is an amazing writer and chronicler of Los Angeles. This video is from The Reversal enhanced eBook, which is available for the iBook application and the iPad Kindle application. The enhanced eBook includes many more videos like this one created exclusively for the eBook, as well as interactive maps of Los Angeles featuring locations from The Reversal, commentary by Michael Connelly, author Q&A, timelines of major events in the lives of Harry Bosch and Mickey Haller and much more. Download from the iBook store. Download from the Kindle store. Want to show your love for Michael Connelly? Check in to The Reversal on entertainment social network GetGlue via the web or GetGlue’s app and share on Twitter and/or Facebook to earn Michael Connelly-related stickers. Collect a variety of 7 or more GetGlue stickers, and GetGlue will mail crack-n-peel versions of the stickers to you to display proudly.